This research deals with creating a superhydrophobic/superoleophobic surface by preparing a metastable Cassie–Baxter (CB) surface. To create a CB surface it is essential to have low surface energy and properly constructed surface morphology. 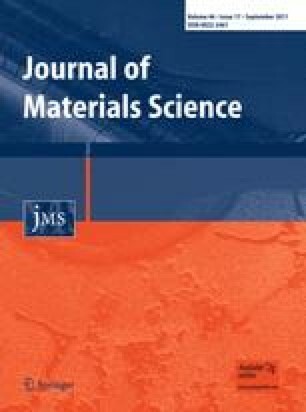 We have explored three different techniques to achieve superhydrophobicity and superoleophobicity using hydroentangled nylon nonwoven fabric: pulsed plasma polymerization of 1H,1H,2H,2H-perfluorodecyl acrylate (PFAC8), microwave-assisted condensation of 1H,1H,2H,2H-perfluorodecyltrimethoxysilane (FS), and FS condensation through wet processing. Nonwoven fabric materials prepared using these three techniques were superhydrophobic and superoleophobic as shown by their very high contact angles for both water (contact angles of 168–174°) and dodecane (contact angles of 153–160°). The measured contact angles agree with the predicted values obtained through designing a CB surface. This material was partially sponsored by US Army Natick Soldier Research Development and Engineering Center (NSRDEC) and Air Force Research Laboratory (AFRL) [grant number FA8650-07-1-5903]; and The Defense Threat Reduction Agency-Joint Science and Technology Office for Chemical and Biological Defense [grant number HDTRA1-08-1-0049]. The U.S. Government is authorized to reproduce and distribute reprints for Governmental purposes notwithstanding any copyright notation thereon. We thank the Nonwoven Institute (NI) for sharing hydroentangled nonwoven fabric with us.